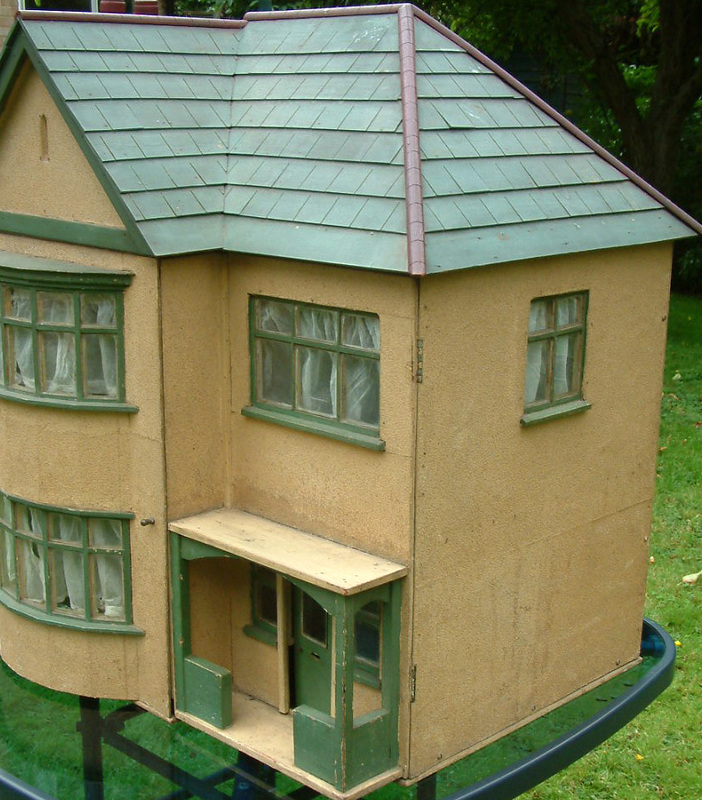 A Stunning 1920s - 1930s Little House! 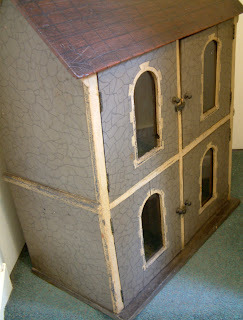 I have just put up for sale today a truly stunning 1920s-30s dolls house. It is breathtakingly gorgeous and I have already spent many hours just staring and admiring it! 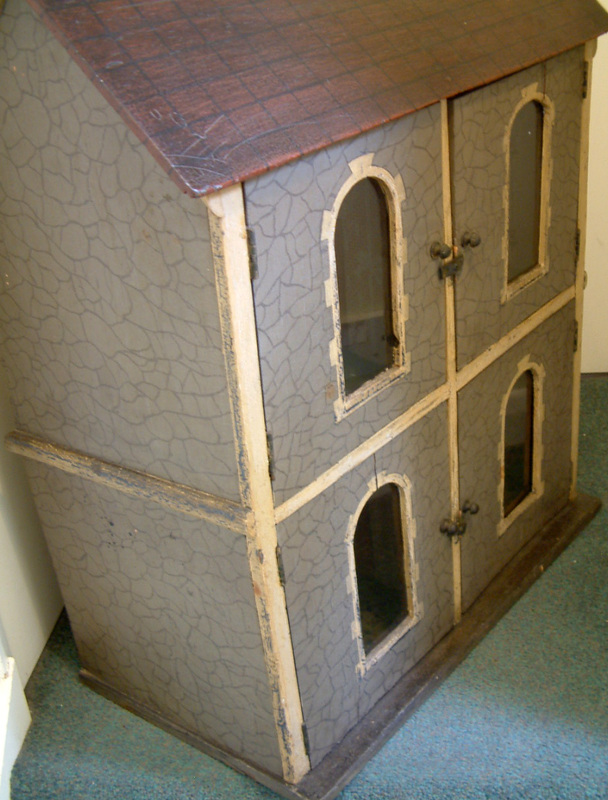 I love it but it is big and I have no room for it...so it has to go....oh soooooo very reluctantly!!!!! 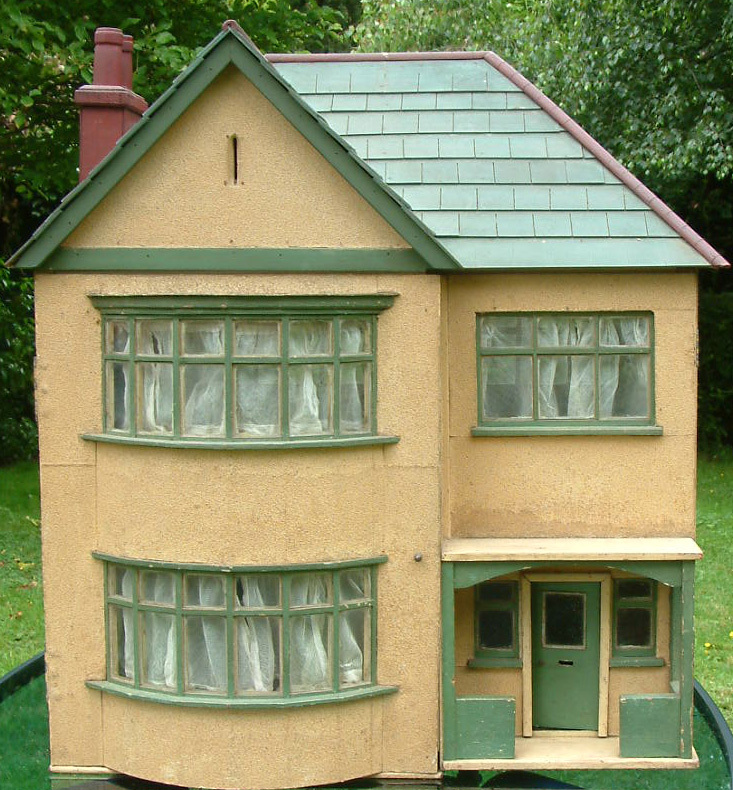 Actually, this is such a very curious house and am of the opinion that this was not created originally as a dolls house at all....but was in fact a 1920s-1930s developer's model, to use as a show house whilst the housing estate was being built. This was to help give a prospective buyer an idea of what the finished house may look like. 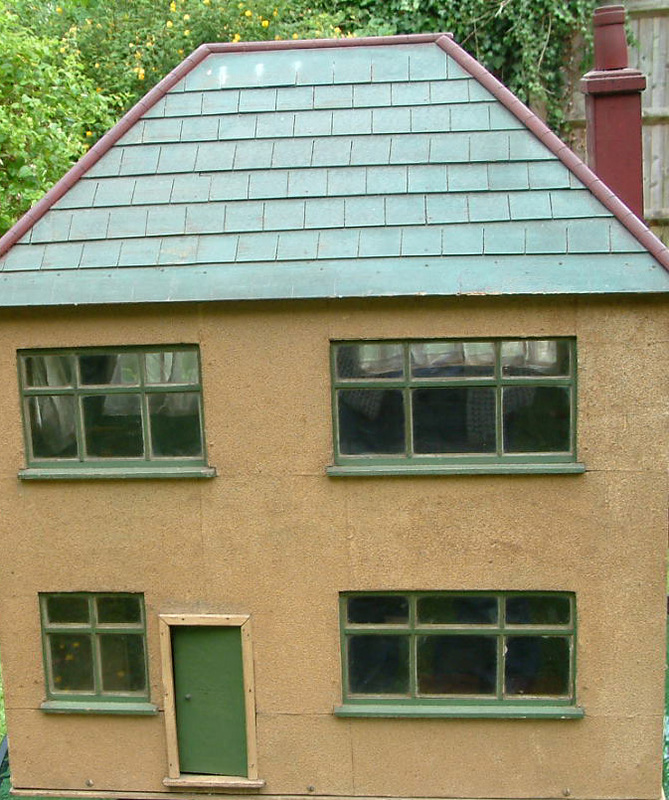 What has led to me this conclusion is the detailed appearance of the exterior including the beautiful bay windows and the internal layout. 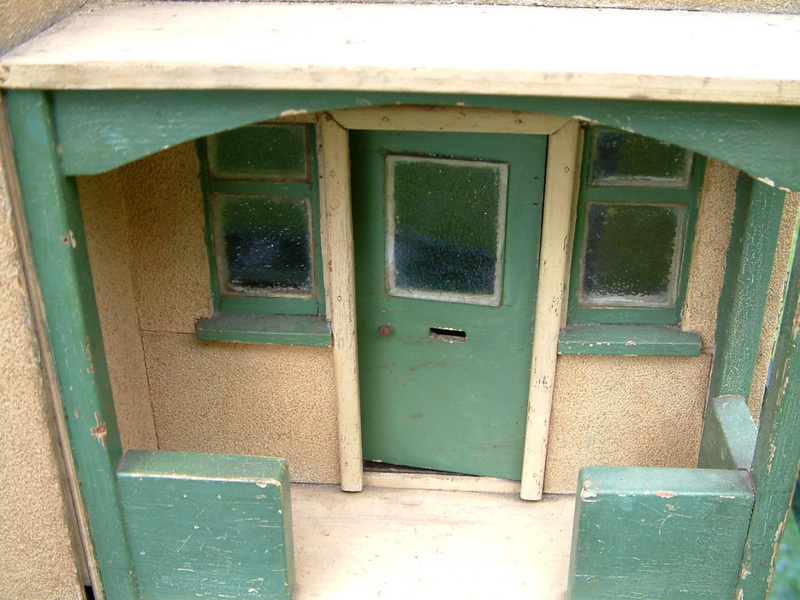 The layout inside is a bit odd indeed if it had been intended as a toy, particularly the enclosed kitchen. 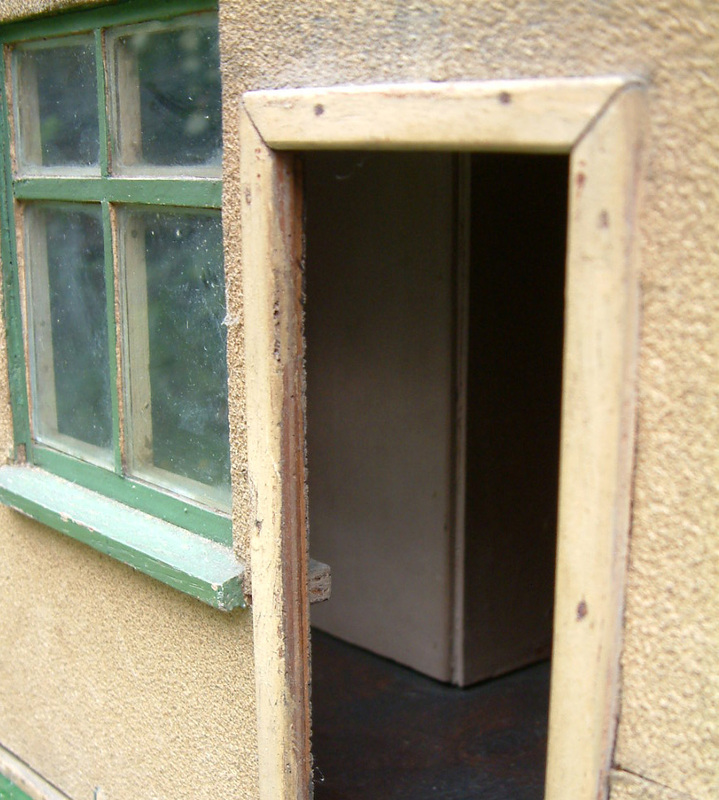 It is accessed at the front via two opening halves. 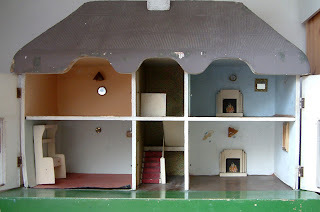 There are two main rooms, one upstairs and one downstairs - each with an Art Deco wooden fireplace and dual aspect. 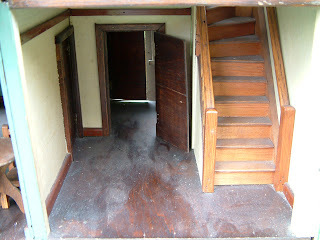 The hallway has a door leading into the main downstairs room and also another door leading into the kitchen right at the back. Stairs lead up to an enormous landing that also has dual aspect plus a side window too. 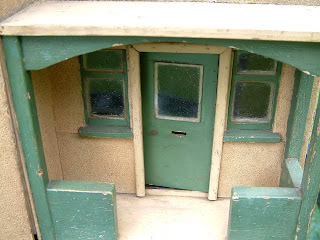 Am intrigued as to why, if this was meant to be a toy, the landing area was constructed in this way with a lot of wasted space and more especially why the only access to the kitchen is via the hall door and the back door? 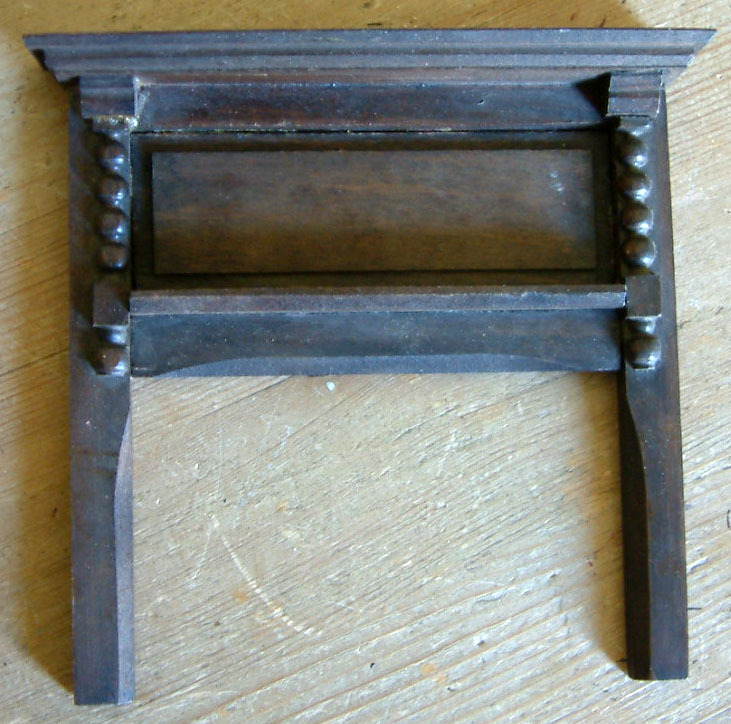 There are six pieces of original furniture that came with this house, as you can see above. All wooden and very basic. 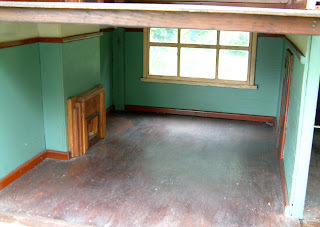 Each room has the original decor including the lovely picture rails. I love this porch area. The two porch windows and door are glazed with very thick crinkled glass. 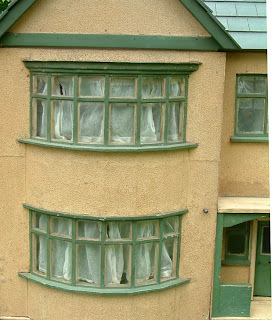 The bay windows are to die for.....simply stunning and very skillfully made! As you can see in my previous post, I washed the original curtains (they were disgustingly dirty) but have finally come up a treat and I have put them back in place using the original drawing pins that came with it. 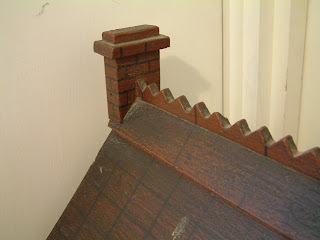 This vent intrigues me....it is such a realistic touch but rarely seen on a dolls house. 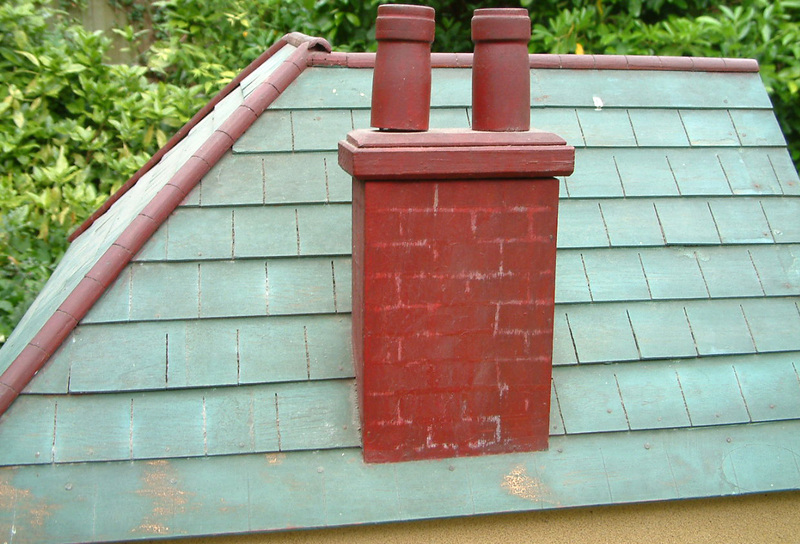 The roof has been very carefully constructed with wooden mock tiles and the chimney is gorgeous too. Haha....My Neighbour Thought I'd Shrunk My Curtains! 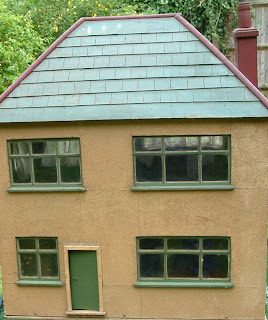 One of the most unique and beautiful little houses that I have ever handled here at KT Miniatures has come in and will very shortly be put up for sale. (Note that I said "little house" and not dolls house.......are you intrigued)? Actually, it's not that "little" either but hey ho. 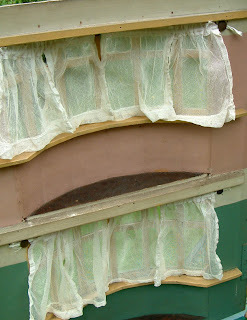 However, the little teeny antique lace curtains were disgustingly dirty from over 80 years of dirt and I felt like heaving even just looking at them....sooooo, I embarked on trying to give them a bit of a wash. Good old "Vanish"....after two attempts of cautiously using the proper way and following the correct instructions, in desperation I more than doubled the dose along with many hours of soaking. (If that had failed it was to be bleach)! Finally I had a very pleasing result! 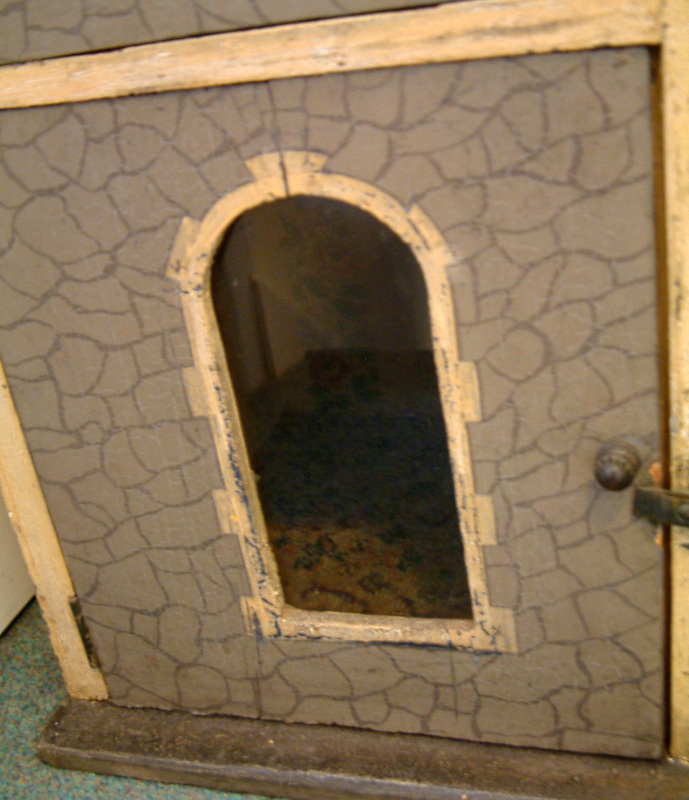 A Little Video.....Of A Very Little Project! 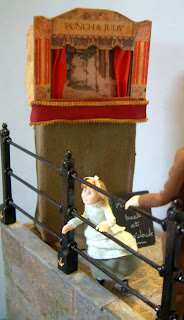 As you will have seen on my last KT Miniatures Journal posting yesterday, Robin Britton and I have spent weeks creating a little Victorian Seaside Scene as a how to make project for the August issue of the Dolls House & Miniatures Scene magazine (www.dollshousemag.co.uk). Just for a bit of fun, we have created a little video showing brief shapshots of stages from beginning to end of the creation of the project and to Florrie's first tentative dip in the sea! Hope you enjoy it and find it inspiring! 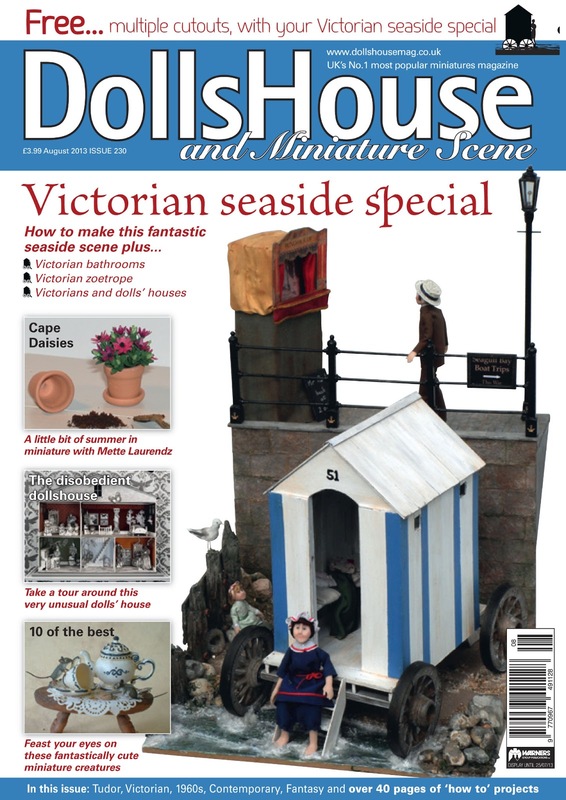 Labels: Dolls House & Miniature Scene Magazine, Miniature Victorian Seaside Scene Video, Nostalgia In Miniature Workshops. I'm delighted to announce that the Victorian Seaside Scene that Robin Britton (my Nostalgia In Miniature Workshops colleague) and I have been working hard on for weeks, can now be seen in the August issue of Dolls House & Miniature Scene Magazine. It was great fun to do...and as with all our projects, we undertook much research so that it could be created as realistically and accurately as possible. 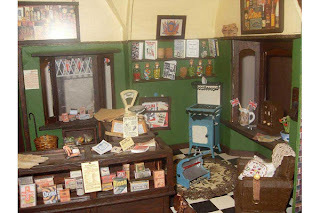 On top of all of that, we had to design it in such a way in order to make it easy for the readers of the magazine to create themselves, as this has been presented as a "how to make" project in the August Issue of Dolls House & Miniature Scene magazine. 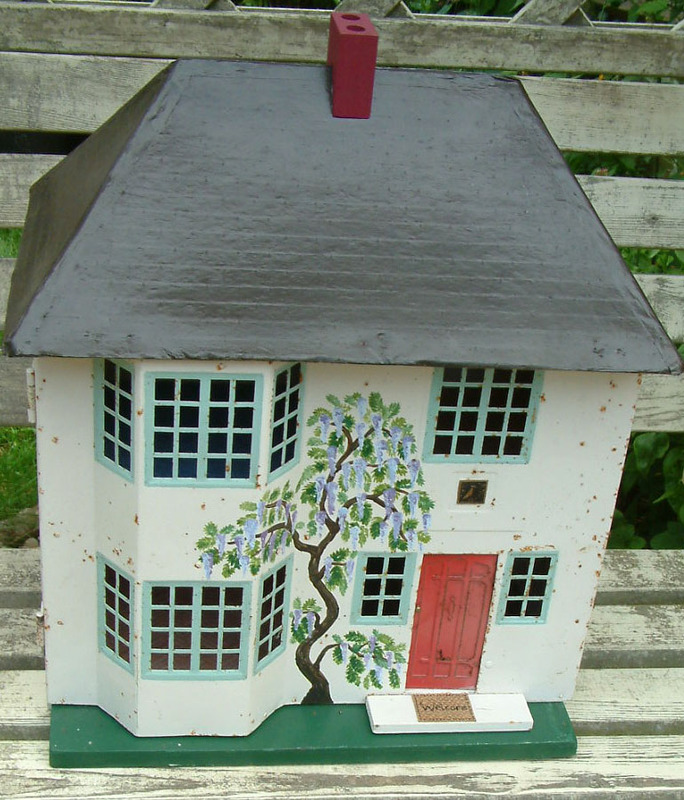 This landscaped base plus fixtures as seen below is now being offered for sale and 50% of proceeds will be donated to Breast Cancer Campaign. In our own instantly recognisable "Nostalgia In Miniature Workshop" style, we have created a realistic and highly detailed two-tiered Victorian seaside setting with an element of fun. 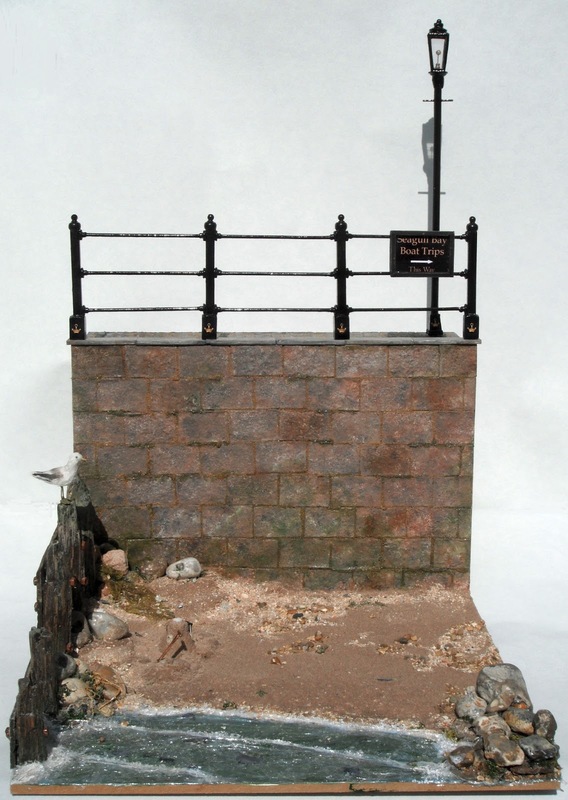 It incorporates a naturalistic beach, backed by an old and weathered sea wall with upper brick paved promenade edged by a distinctive and authentic Victorian style set of railings. To complete the promenade, there is of course a gas street lamp. 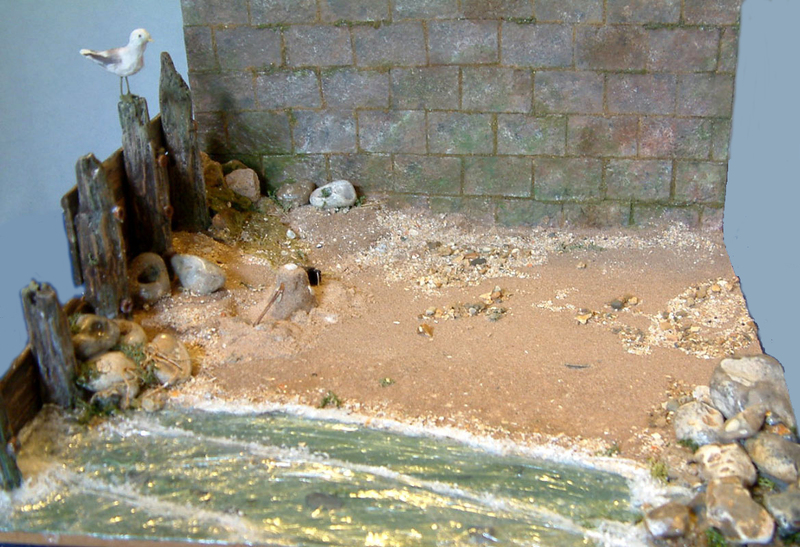 A special feature of our landscaping is the sea battered and aged wooden groyne, along with it's very own seagull! !Our unique seawater in the foreground really adds to the realistic ambience of the whole setting and we couldn't resist adding a little rock pool with it's own starfish!! The Victorian bathing machine, Punch & Judy and all three of Robin's dolls that were made for this scene are also being offered for sale, but separately and are not part of the charity offer. 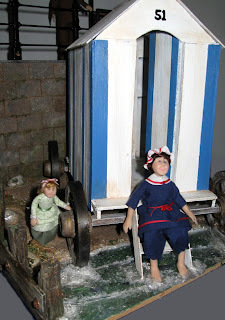 For full details please see the Seaside Scene Promotional page on our Nostalgia In Miniature Workshops website. 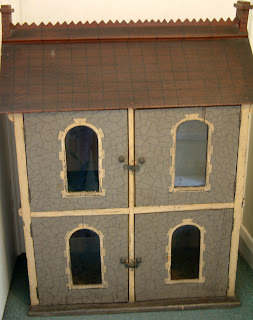 Unusual Little Dolls House For Sale Plus Old Dolls House Bargain Basement Now Up & Live! Just gone up for sale today is a delightful and ususual vintage dolls house...probably commercially made during the 1950s/60s but I do not recognise the maker. 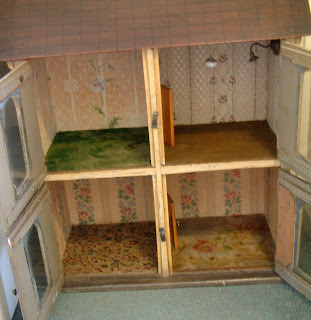 If you don't have much space but would like to take on a vintage dolls house, this could be ideal for you. It's of wooden construction with tin Romside windows and front door. 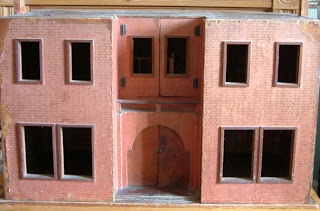 It has just two rooms, each with a Romside fireplace. 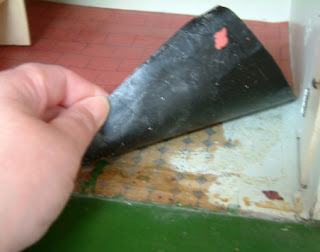 I can see evidence of other wallpaper/paint underneath in parts but has obviously been given a more recent makeover. 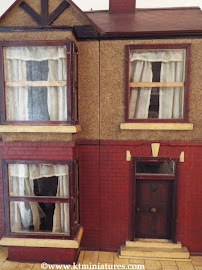 The previous owner has also painted very cleverly an attractive tree on the frontage and obviously really enjoyed this little treasure. But now it is time for it to move onto pastures new. It is 1/16th in scale and very compact. so consequently could be posted. 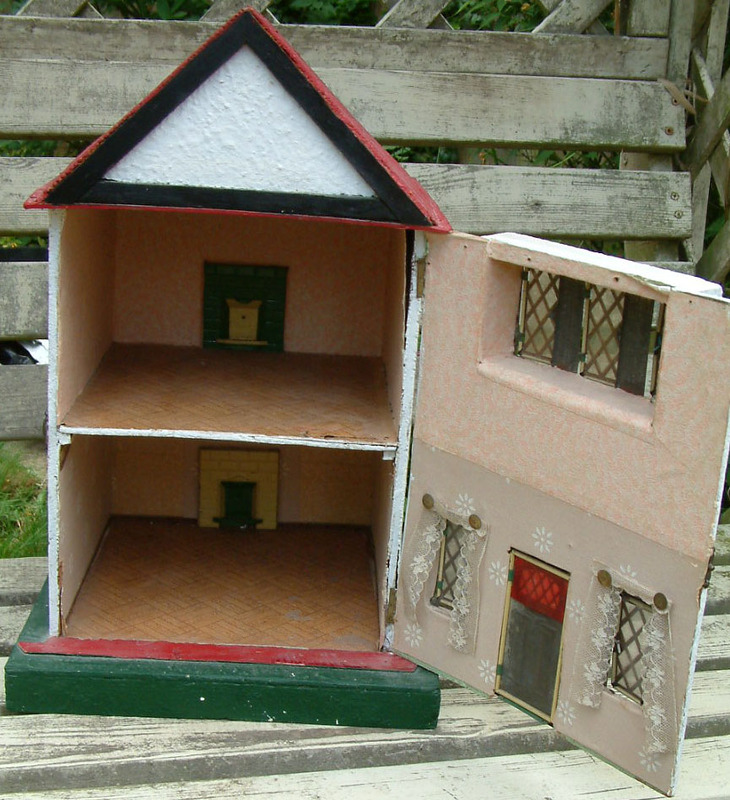 Are you looking for an old dolls house to restore or a new miniature project to take on? If so then. please do go take a peek at this new section on KT Miniatures website. 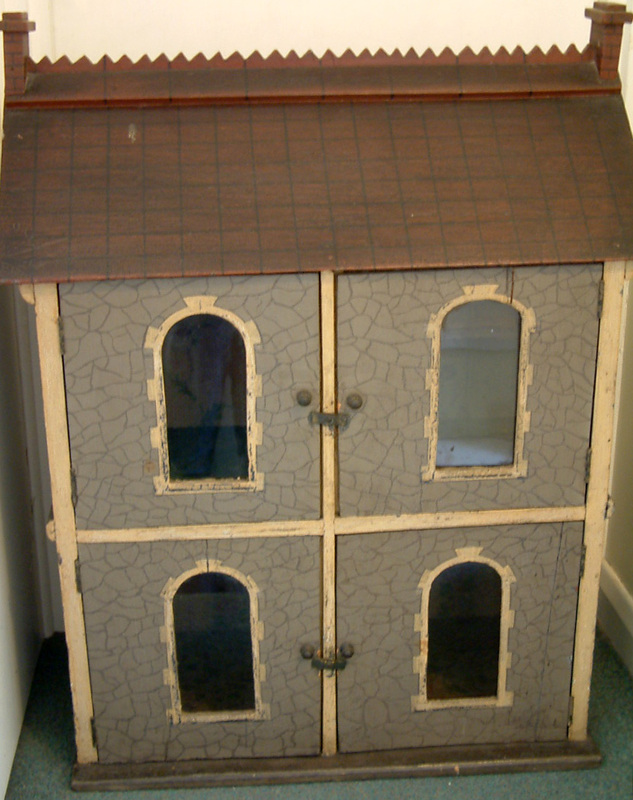 Here you will find old dolls houses that have all been heavily reduced in price due to the fact of their condition. 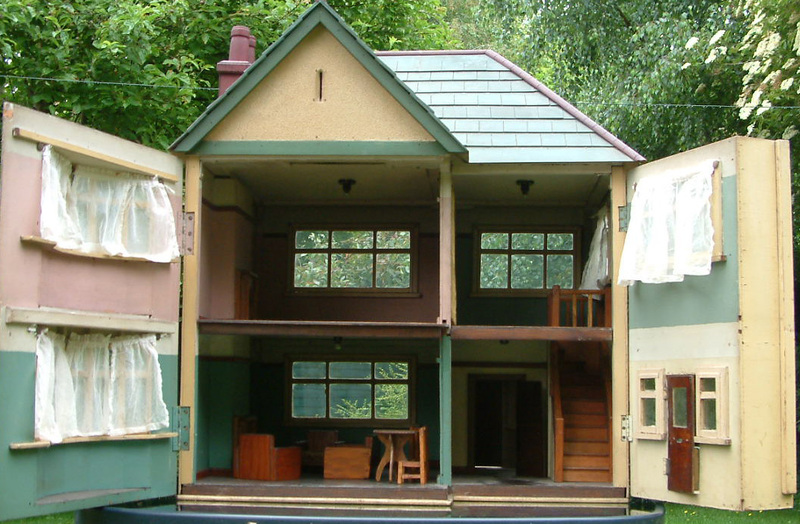 Some may be extremely dilapidated or some may be well known named makes but which have been heavily restored. All will have huge potential and offered at a real bargain price. 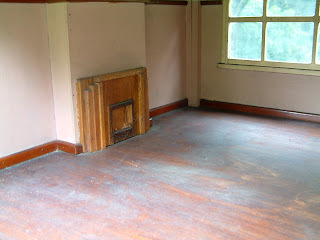 One of the houses being offered is this large vintage house that is quite dilapidated but is lovely. 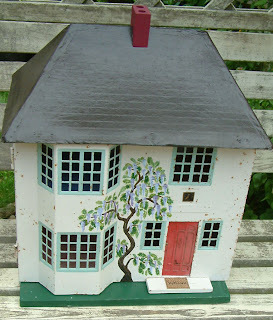 I bought this at an auction, no-one else bid on it so I simply couldn't leave it unsold and unloved. I had every intention of restoring myself but now it is very apparent that I simply do not have the time. Also in that same section today, you will find a 1950s Tri-ang No 50....in solid condition with one or two original features but at the same time, has had a makeover. 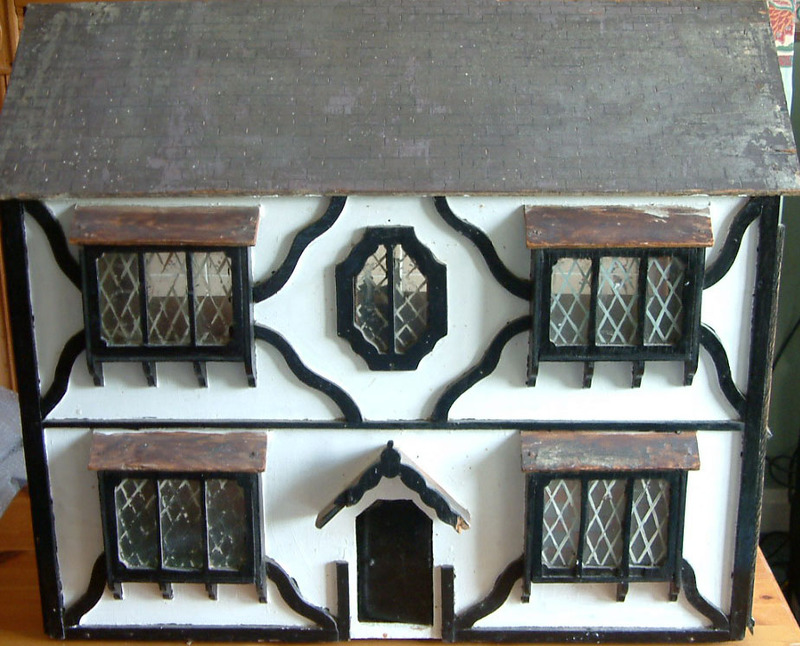 You could move straight in or undertake your own restoration if you wished, in order to bring it back to how it would have looked like originally. 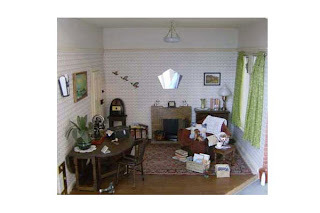 Fabulous 1940s House Video By Imperial War Museum! I came across this truly wonderful video of the 1940s House which has been made by the Imperial War Museum. It is narrated by Terry Charman (Senior IWM Historian) and he tours the various rooms giving all sorts of interesting facts. This is a brilliant source of information for anyone interested in this era and very useful to anyone embarking on a miniature 1940s project. 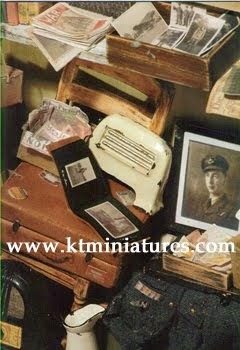 on KT Miniatures website, along with a couple of other videos for anyone interested in the 1930s-1940s. 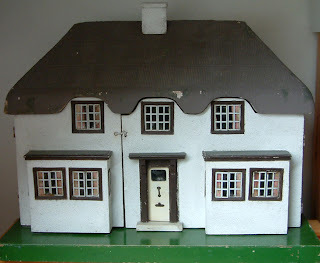 Labels: 1940s House, Imperial War Museum Video. 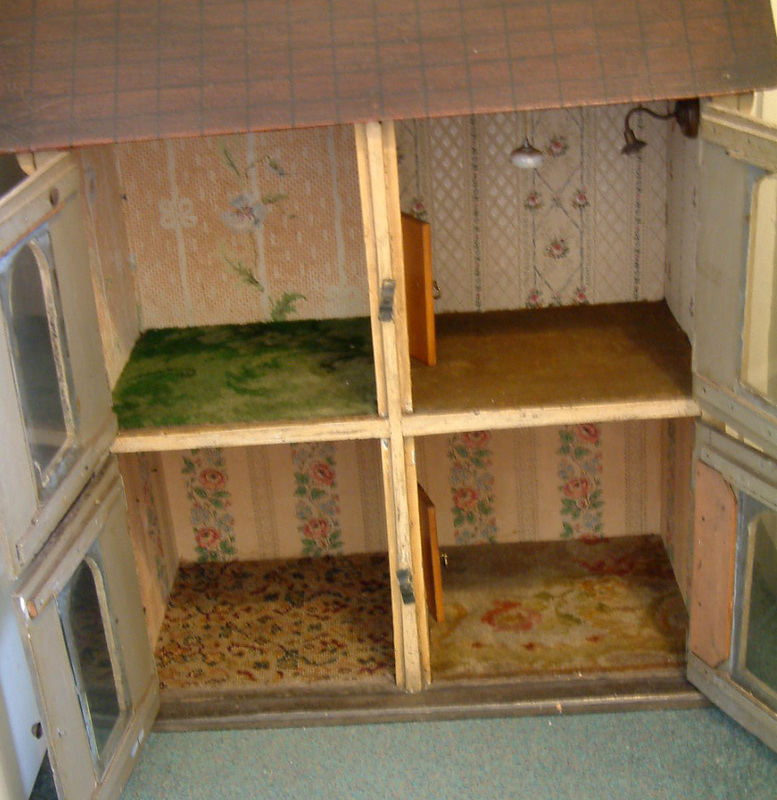 Am often asked by confused customers what scale furniture and accessories they should purchase for their antique or vintage dolls house, because many old dolls houses do not conform to scale. 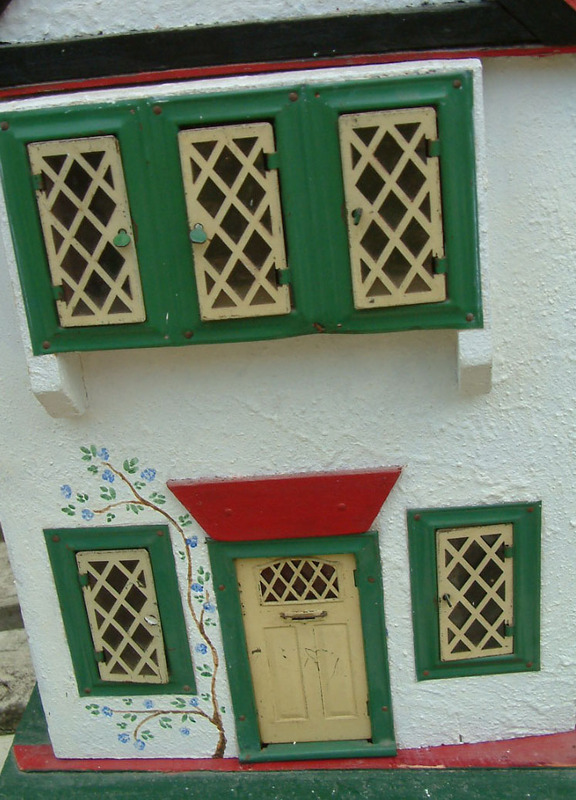 Often windows are either bigger or smaller in comparison to doors. 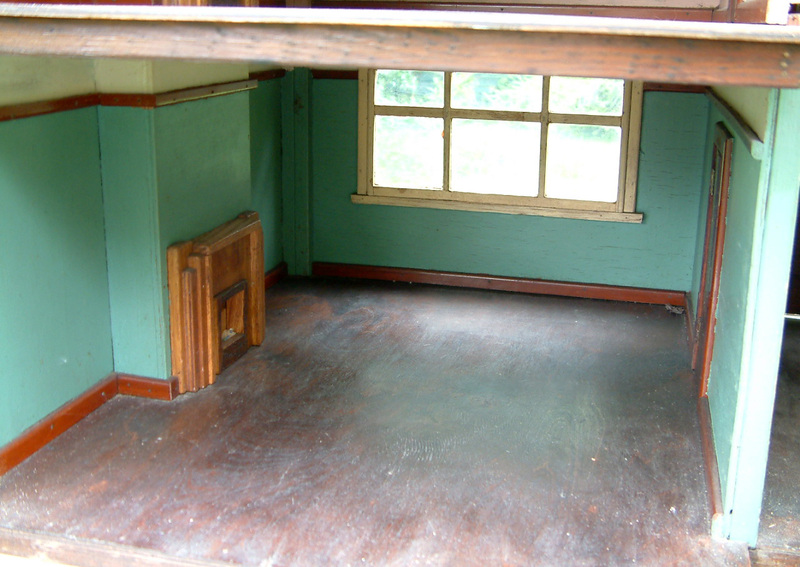 Ceiling height and room size can be far too big or small in comparison to windows. 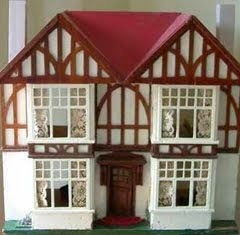 But this to me is what helps give an old dolls house real character. 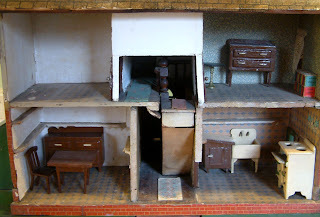 In fact, personally I prefer the quirkier dolls houses where scale is non existant! 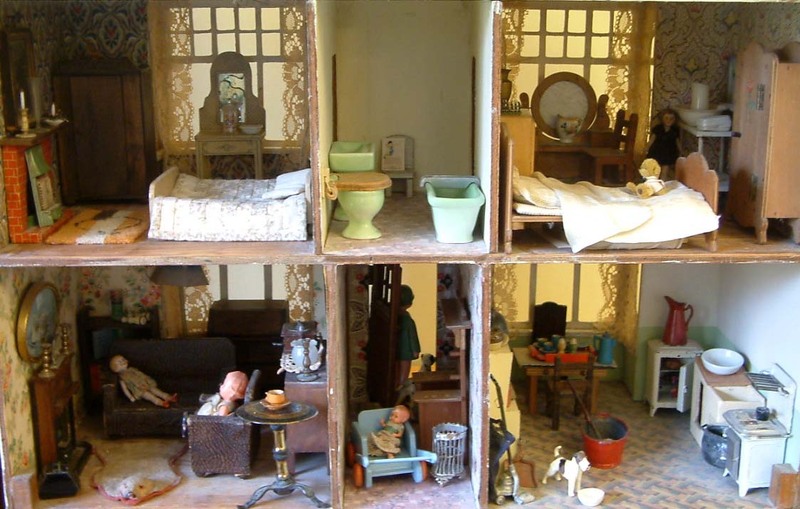 So my advice is usually.....where scale is not obvious just disregard it and simply fill your old dolls house with what you like, regardless of size....and enjoy!!! 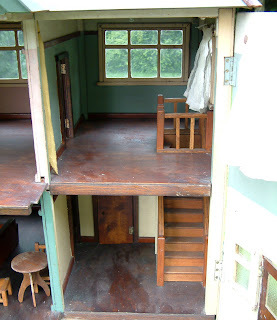 In this old 1930s house the cooker and sink are bigger than the back door (you can just about see it to the side of the cooker) but does it really matter? 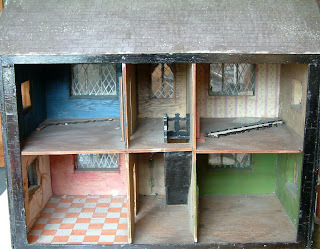 In my 1930s Hobbies 186 Special dolls house, I mix 1/12th and 1/16th together and think it works well. 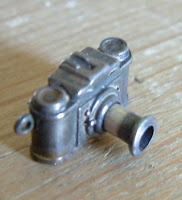 This is an old photo so a little has changed since I took this....one day I may get round to taking some new photos! Although make sure before you purchase, that you check the measurements as there is no point in purchasing something that is 7" tall for a room that is only 6" high!!! 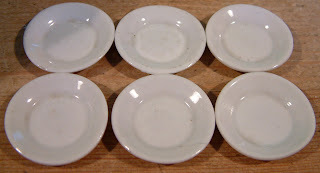 (Yes I know it may seem obvious....but you have no idea how many times people have forgotten to check sizes after being completely seduced by a lovely old item...hahaha). 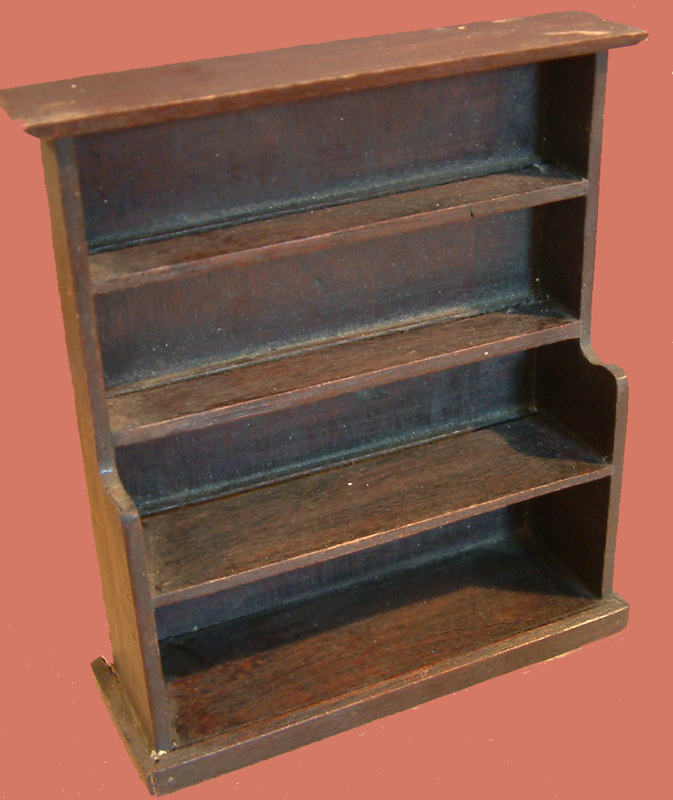 A large Victorian/Early 1900s dresser just over 7" tall. A large antique cooking pot. A set of six antique plates measuring nearly 1 1/2" in diameter. 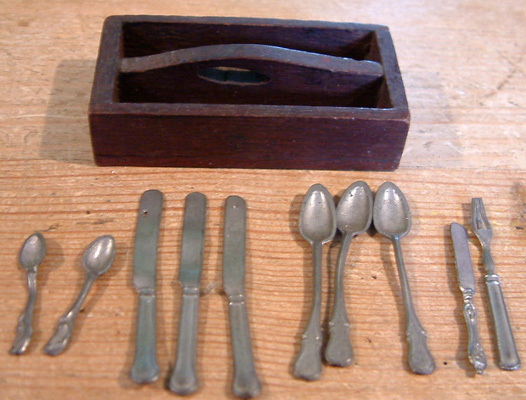 An antique wooden cutlery tray measuring 2 1/2" long with some outsized cutlery. 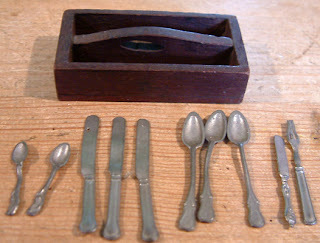 The above antique items were listed yesterday to the Antique & Vintage Kitchen page on KT Miniatures. As you can see, they are all larger than a normal traditional 1/12th scale dolls house but would look super in an old dolls house where scale does not matter. 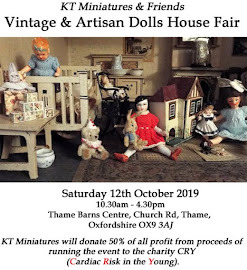 I love the Art Deco style and have recently listed on KT Miniatures these very distinctive circa 1930s bakelite Art Deco bedroom pieces. If you are into this era then am sure you will love them too! 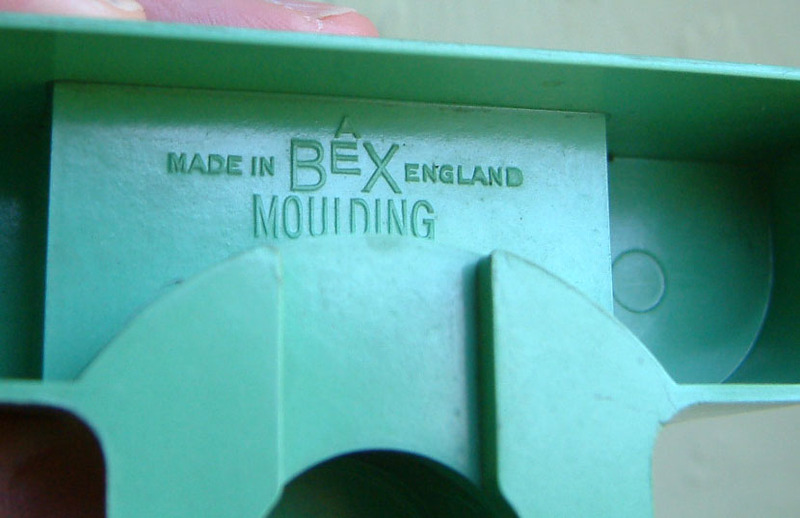 The trademark Bex Moulding - Made In England is embossed underneath each piece. 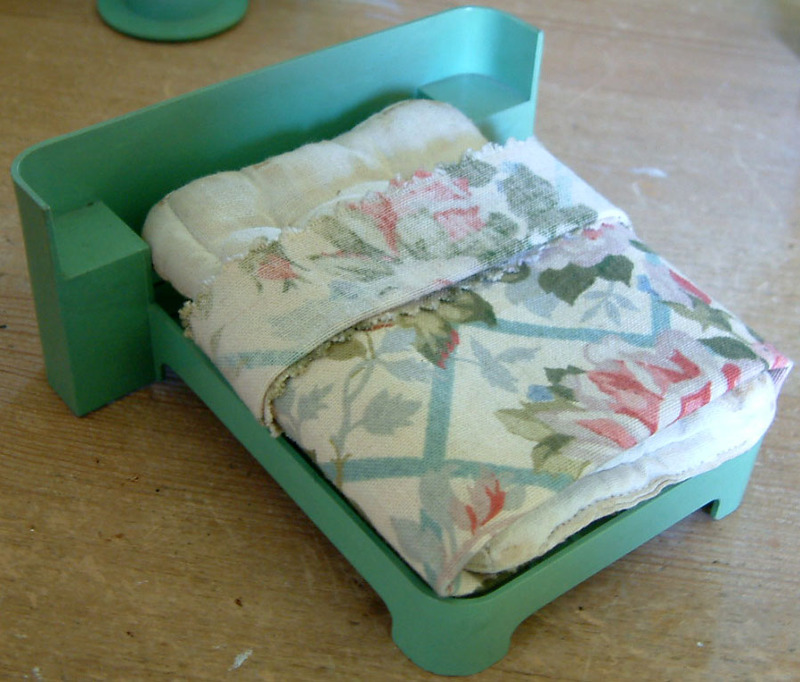 The mattress has been homemade and is old but the floral cover is relatively new. 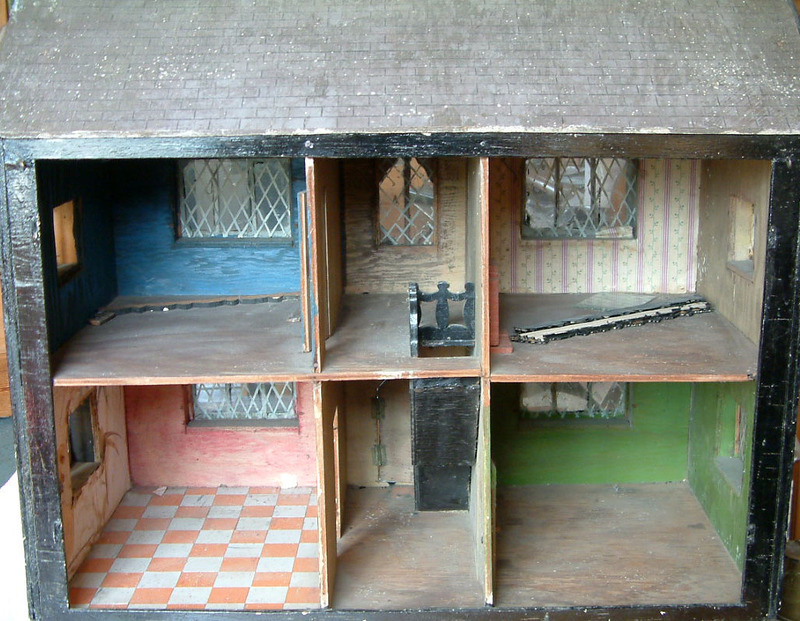 In Margaret Towner's lovely book "Doll's House Furniture", on page 55 you will see that she features a brown bedroom suite. 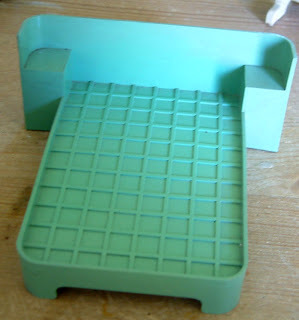 Apparently this set came in four colours-brown, blue, red and green. I have two green pieces available from the bedroom set, the dressing table and bed....sadly not the wardrobe. 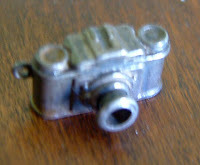 Margaret tells us that in 1937 British Xylonite Co.Ltd. 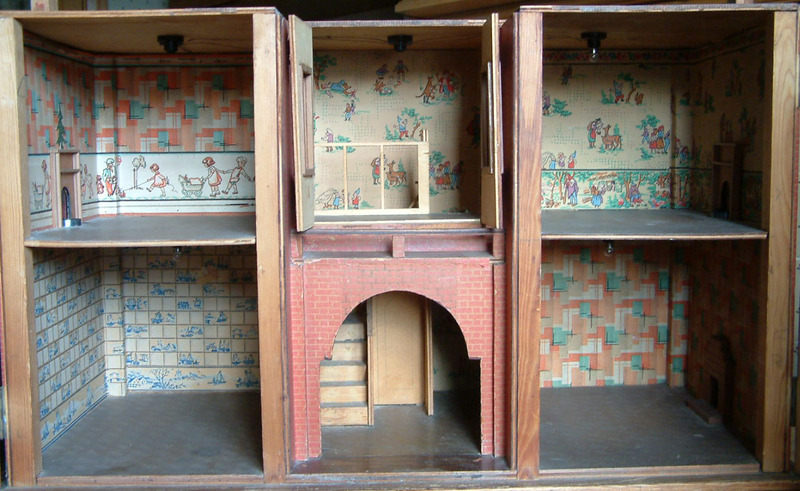 had the idea to produce dolls house furniture in bakelite and felt that it was an extremely imaginative product for the inter war period. Have to agree...it is also extremely well made and generally quite tough. 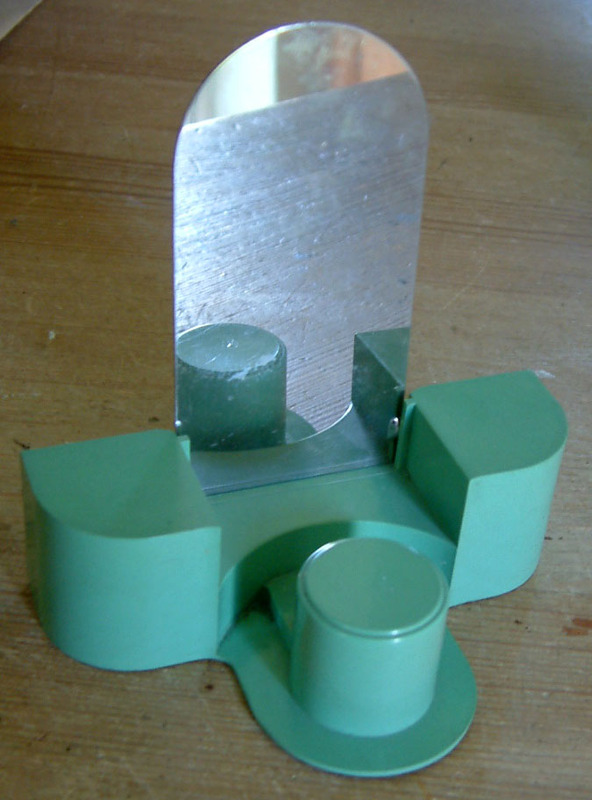 Although the removable steel mirror was often lost or tarnished am pleased to say that the mirror on this particular dressing table is present and in remarkable condition. Bakelite items, whether miniature or real life size, are becoming quite collectable these days and this little bedroom set is no exception. 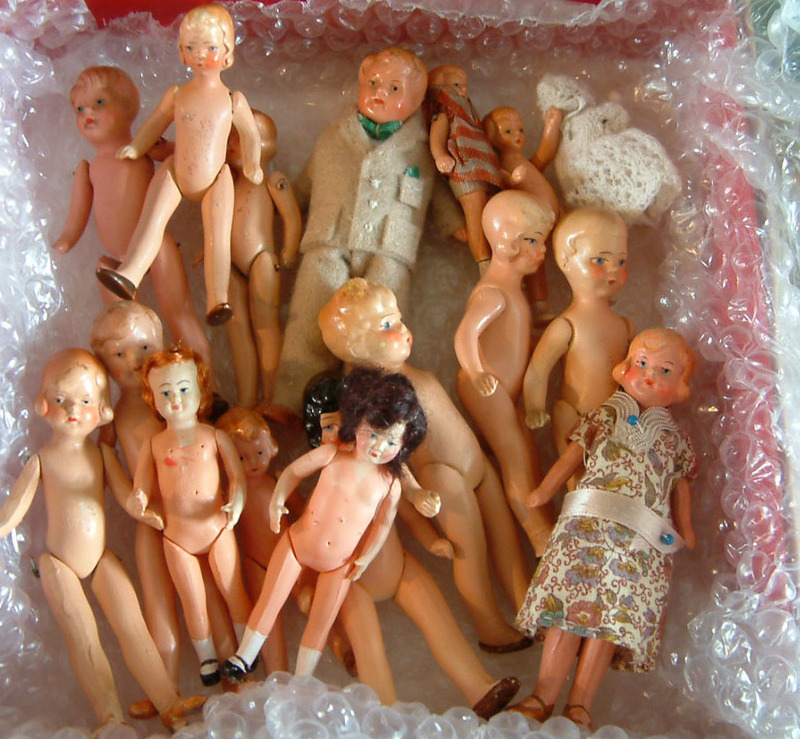 Yet another parcel has arrived with some rather wonderful contents...many of which will appear on KT Miniatures website over the next few days. So do please keep checking the relevant sections that interest you but please also remember that you may need to refresh the pages as you view in order to see the updates. Would just like to say a huge THANK YOU to all of you who've taken the time to email me privately about my new website. It seems that many of you are chuffed to bits that at last you can view and use my website properly via your iPads and mobiles! I can now breathe a mighty sigh of relief that it seems to be working for you so am pretty chuffed too!!!! 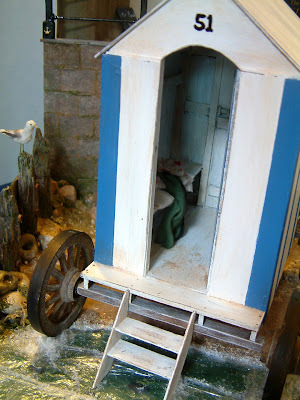 Am slowly adding to the gallery pages......KT Miniatures Gallery is now up and running although I still have more to add to that section. 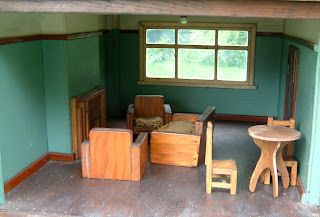 Sarah Taylor's 1940s house -view of living room. 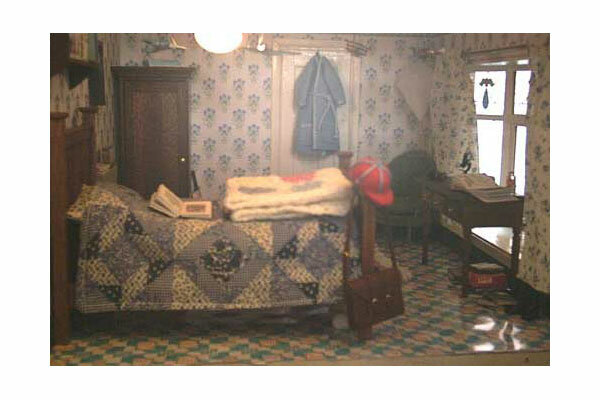 Author Kate Long's 1930s house - view of boy's bedroom. Also am pleased to say that the Customer Creations Gallery is now fully up and running. The three images above have been randomly chosen from that gallery. If you have not seen this section before please do go take a peek!! 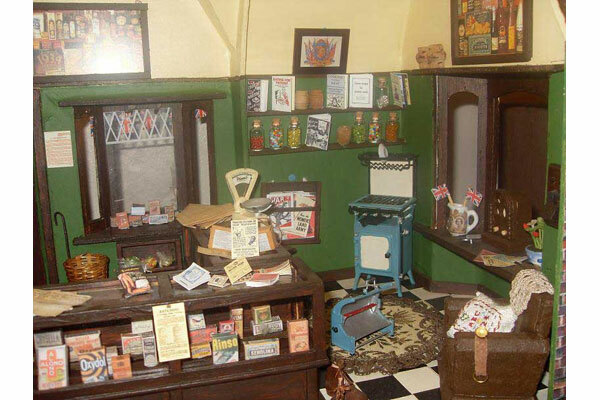 There are some absolutely gorgeous creations made by KT Miniatures' customers ranging from a WW1 sweet shop, 1930s-1950s houses and shops, to even a bomb shelter with British resistance hideout underneath....fantastic! 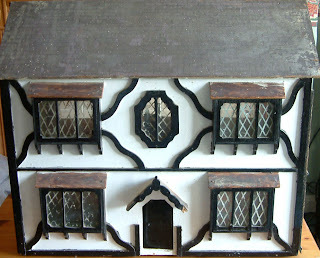 Meanwhile, the Old Dolls House Gallery will also be back up and running as soon as possible but may take some time to sort out as the files are quite large and is going to be very time consuming to transfer everything over from the old website. 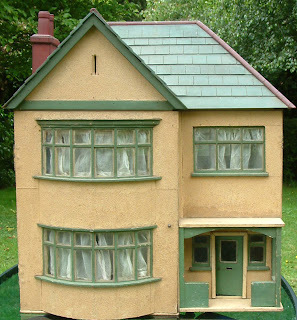 This late Victorian/Early 1900s dolls house is a true delight and is currently for sale on KT Miniatures website. 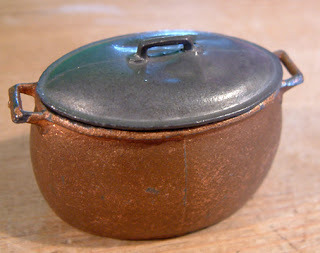 It is in a pretty good condition seeing that it's over 100 years old. 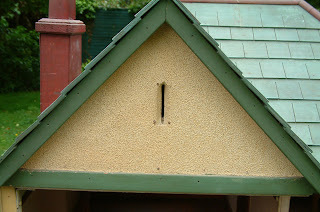 The unique stonework exterior has been carefully painted over a grey background and is very attractive. 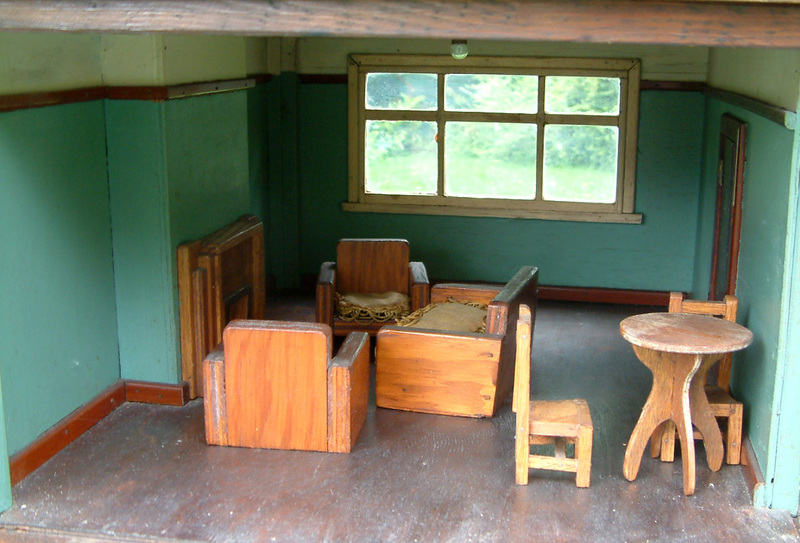 The interior is also delightful, consisting of four big rooms. 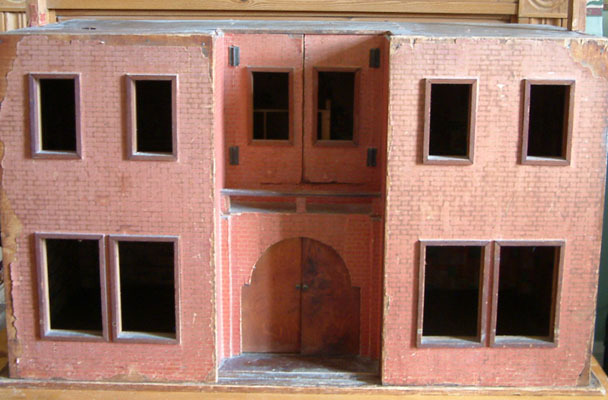 Each pair of rooms have a connecting opening door. 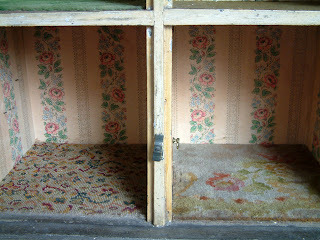 All rooms are decorated with old wallpaper and real carpet lines the floors. 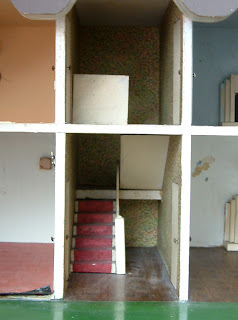 I particularly love the carpets in the downstairs rooms ........so very pretty! The room height is quite big at over 11" which gives plenty of scope for collecting furniture and fittings of varying scales. Scale was generally of no importance at the time this house was made so whoever takes it on can have great fun filling it. And there's this real whacky lighting in the right hand bedroom....the suspended lamp has a celluloid shade along with a rather large metal lamp fixed to the side wall. 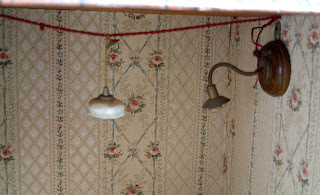 The other rooms have an old fashioned central light. Above you can see the close up of the amazing stonework. Plus all four windows have a cleverly painted window frame and each are glazed with real glass. The roof has also been handpainted over a terracotta background and there is a rather pretty zigzag ridged effect along the top. Also currently for sale is this rather lovely Tri-ang Princess dolls house, built some thirty years later than the house above and believed to be late 1930s. 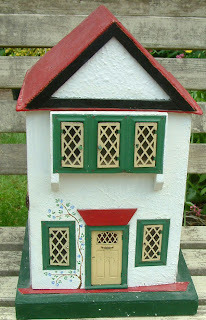 It has been a cherished little dolls house but its time to move onto a new home. 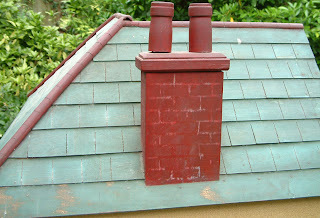 The roof has been overpainted....so too the exterior has been given a lick of white emulsion. 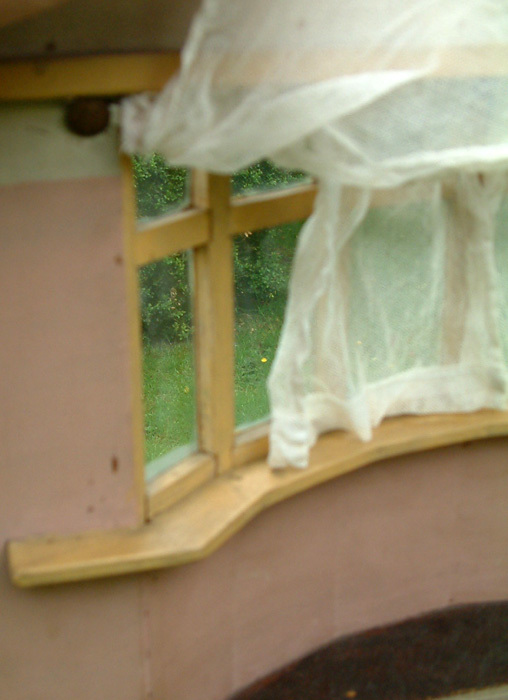 But all windows are present and correct,including original curtains. 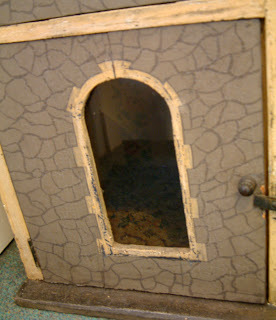 Plus the opening front door is intact. Inside the four main rooms have been painted but the lounge and bedroom on the right hand side have the original floors and two odeon style fireplaces.The kitchen on the left has it's original Tri-ang dresser. The hall, stairwell and landing have the 1930s Tri-ang wallpaper, flooring and stair "carpet"...which is so very refreshing to have. Underneath the replacement coverings, the original could be lurking, like here in the kitchen you can see the Tri-ang tiled floor paper. c1935 Art Deco Dolls House Sold Within Hours Of Going Up For Sale!